SOCHI, Russia (AP) — The mountains of Sochi are now home to Potanin's slope, Gazprom's gondola lift and Sberbank's ski jump. The nicknames used by locals and an army of construction workers leave no doubt about who is paying for the 2014 Winter Games: Russia's business powerhouses. Other countries that have hosted the Olympics have overwhelmingly used public funds to pay for the construction of needed venues and new infrastructure. The Russian government, however, has gotten state-controlled companies and tycoons to foot more than half of the bill, which now stands at $51 billion and makes the 2014 Winter Games by far the most expensive Olympics in history. In contrast, the much-larger 2012 Summer Olympics in London cost about $14.3 billion and the 2008 Summer Games in Beijing cost about $40 billion. For President Vladimir Putin, the games have been a matter of pride. 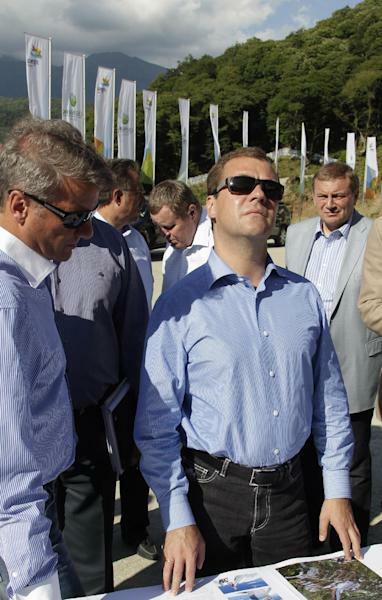 He has entrusted the country's top businessmen with Sochi's key projects. He himself is spending increasing amounts of time in the southern Russian city, hosting world leaders at his luxurious presidential palace. Mikhail Kasyanov, a former prime minister under Putin, described the tycoons' participation as a sort of tax imposed by the president. "If you want to carry on doing business in Russia, here's the tax you need to pay — the kind of a tax that he wants you to pay," Kasyanov, now an opposition leader, told The Associated Press. This is particularly true of those like metals tycoons Vladimir Potanin and Oleg Deripaska, who made their fortunes in the rags-to-riches privatizations after the 1991 collapse of the Soviet Union. For others who have grown fabulously wealthy since Putin came to power in 2000, the 2014 Olympics have been a chance to reap the profits through lucrative state contracts. Most of the projects the tycoons are involved in are not profitable — and many businessmen are making no secret of the losses they are incurring. But anyone who does business in Russia today is acutely aware of the importance of maintaining good relations with the government — and especially with Putin. The tycoons remember well how Putin in 2008, with one verbal attack, sent the stock of metals company Mechel tumbling 40 percent, cutting $6 billion from its shareholder value. "Russian big business is heavily dependent on the government and often has to follow Putin's requests and take on projects that are important for top officials," said Vladimir Milov, an economist and former deputy energy minister who also is now part of the anti-Putin opposition. The tycoons and state-owned companies dismiss claims that they were pressured to invest in Sochi or that they did so in exchange for promises of preferential treatment. Gazprom, the world's largest natural gas producer and a publicly traded company, said in a written statement to the AP that its work in Sochi is "both a business project and serious social responsibility." 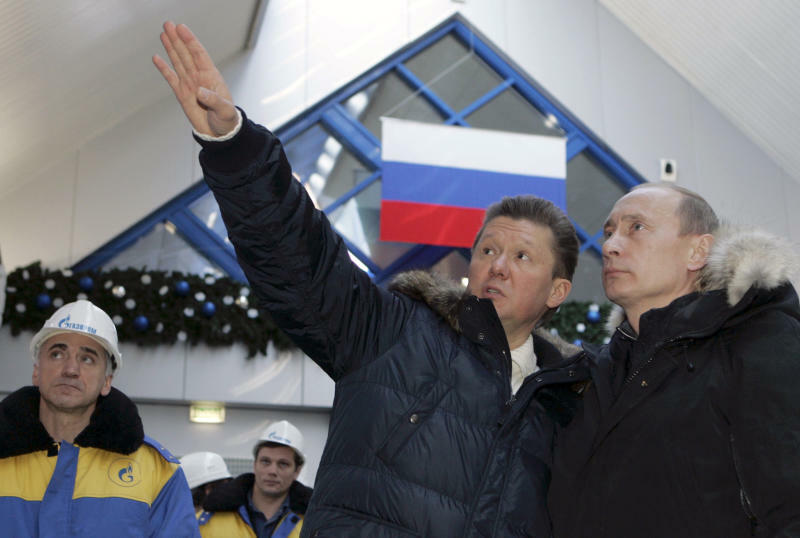 Gazprom's Sochi projects are vast. It is building a pipeline to bring gas supplies to the Sochi area, a power station in a Sochi suburb, an Alpine ski resort, one of the three Olympic villages and a cross-country skiing and biathlon center. Its total costs run to $3 billion. Andrei Elinson, deputy general director at Deripaska's Basic Element investment vehicle, insists its Sochi projects were all designed to be profitable. The company is building an Olympic village and a seaport and has just finished revamping the Sochi airport, for a combined cost of $1.4 billion. "We are a strategic investor in the area. We believe in the development of the area on the whole," Elinson said. After the games, Basic Element plans to convert the Olympic village into apartments and the sea port into a marina. Even so, some tycoons are grumbling that they have been hit up with unexpected demands that are stretching their funds more than anticipated. Their balance sheets have been dragged down by a flow of requests from the state contractor Olimpstroi to build more infrastructure than originally planned. Potanin started building his Roza Khutor ski resort even before Sochi was picked in 2007 to host the 2014 games. He is spending $2.5 billion, including $500 million on infrastructure required by the International Olympic Committee. In addition, the Alpine resort had to close to tourists for months at a time while hosting Olympic tests events during the past two winter seasons, costing it $3.2 million in lost revenue each month it was closed, according to Roza Khutor general director Sergei Bachin. When Potanin's Interros holding company first committed to the games, "we had no idea what exactly would be required from us," Bachin said. Now delivering everything on time has become "a matter of honor," he said. Still, looking back, Bachin said Roza Khutor should not have been so compliant. "When we were asked to build this or that, we were probably too yielding in taking up those requests," he said. Potanin was the first to raise his voice. Last year he said he expected the Russian government to compensate him for at least the $500 million he is spending doing work that he said should have been the government's responsibility. Roza Khutor has asked the government to create a special economic zone in the Sochi area. Tax rebates would allow the resort to be "operationally sound" and help it repay loans to the state-owned VEB bank more quickly, Bachin said. The frustrations have been shared by Deripaska's Basic Element, which is suing Olimpstroi for about $50 million, the amount it had to fork out when Olimpstroi questioned the quality of the gravel used to protect the coast at the sea port. Deripaska's company also complained that the sea port it built is receiving only 20 percent of the cargo load that had been promised by the government, leaving revenues far lower than expected. "It's pretty frustrating," Elinson said. "But we think it's curable if the government takes certain responsibly for those actions and comes up with a solution that would allow the project and the investor to recover." He said at this stage all investors are concerned about the additional costs they have faced in Sochi. Last month, Basic Element, Interros, Gazprom and state-owned Sberbank asked the government for help in covering some of their losses. Although there has not been an official response to the plea, the government has said in the past that investors bear full responsibility for any losses. "Those are the risks of those who made the decision," Deputy Prime Minister Dmitry Kozak, who is overseeing the Sochi preparation, said in response to complaints last year. In contrast to the Boris Yeltsin-era oligarchs like Deripaska and Potanin who are involved in capital-consuming projects with uncertain commercial prospects, the new generation of billionaires with close ties to Putin seems actually to be making money in Sochi. 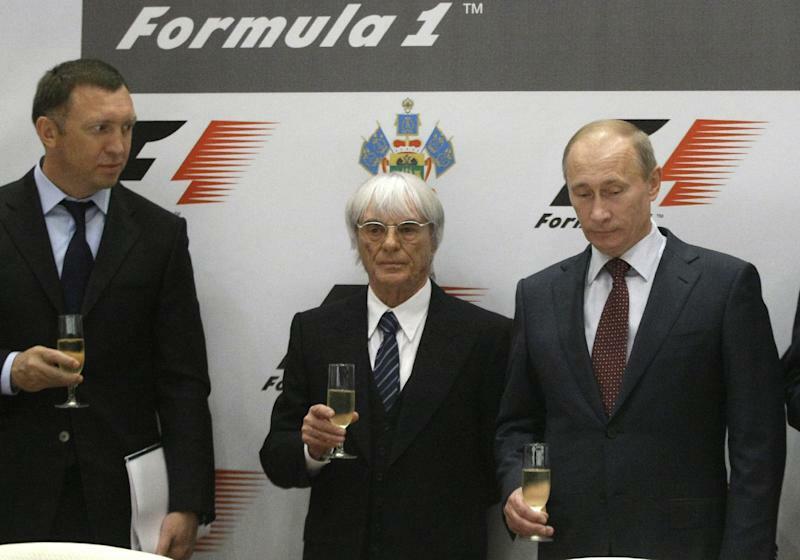 One man who stands to profit from the games is Arkady Rotenberg, who has known Putin since he was 12. Through a majority-owned subsidiary, Rotenberg holds nearly 39 percent of the Mostotrest company, which has amassed a dozen Olympics-related state contracts to build nearly all of the highways in the area. Its projects include a $1.6 billion bypass for Sochi, as well as tunnels, bridges and railroads for a total of at least $3.4 billion. "Those who became billionaires before Putin's rise to power now have to pay the price, and that's why they're being forced to invest and build," Kasyanov said. "Those of Putin's generation are out there to make money. They use public funds. They don't invest their own money but simply work on state contracts." One Russian businessman in charge of an Olympic project was publicly disgraced when he failed to deliver. On a tour of Olympic sites in February, Putin harshly scolded officials for the huge delays and cost overruns in building the ski jump, a project run by real estate developer Akhmed Bilalov, who had once owned 90 percent of it. The state-controlled Sberbank had taken a controlling stake in 2012 when it was clear the project was in trouble, and Bilalov's younger brother handed over the remaining 40 percent stake after Putin's televised dressing down. Bilalov was immediately stripped of his position as a vice president of the Russian Olympic Committee, but Putin still was not done with him. In April, prosecutors charged Bilalov with abuse of office in relation to his work as chairman of a state company that is building ski resorts elsewhere in the Caucasus Mountains of southern Russia. Facing up to four years in prison if convicted, Bilalov left Russia. At least one company has already acknowledged the futility of its investment in Sochi. During his inspection tour in February, Putin asked the chairman of mining giant UGMK, Andrei Bokarev, whether he would give the new $100 million hockey arena that UGMK has built to the state after the games. "There's nothing standing in the way of you doing it," Putin commented. That was not a direct order but its intent was clear. Putting aside previous pledges that the stadium would be dismantled after the Sochi games and moved near an UGMK facility to benefit the company's workers, Bokarev responded with gusto to the suggestion.